The bag is in excellent condition apart from some minor signs of usage. Never feel bored while carrying this beautifully colored and luxuriously detailed Monogram Multicolor Keepall from Louis Vuitton. Made from black coated canvas with colorful printed LV monogram created by Japanese artist Takashi Murakami, it also features smooth beige Vachetta leather trim. 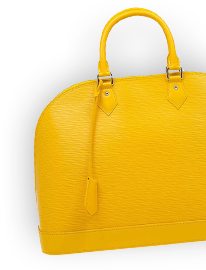 This duffle style bag is also accented with edgy gold-tone cone studs, metal corners and two front buckle pockets. It comes with a clochette, rolled leather handles, a padlock with two keys and an ID tag. Its Alcantara-lined interior opens with a zipper tab and is ideal for carrying travel essentials.